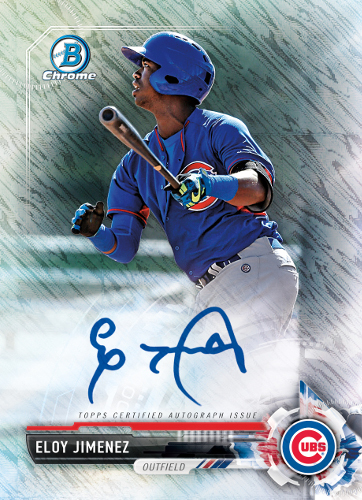 In celebration of Bowman’s 70th anniversary, 2017 Bowman Baseball will showcase limited-edition insert and autograph content. Recreating the iconic early ’50s Bowman design, featuring reproductions of hand-drawn sketches. Look for iconic greats and current-day veterans and prospects. – 20 hand-drawn originals to be inserted exclusively into HOBBY & HOBBY JUMBO BOXES! – Find a multitude of low-numbered color variants. – Purple Refractor: sequentially numbered. – Blue Refractor: sequentially numbered. – Gold Refractor: sequentially numbered. – SuperFractor: numbered 1/1. HOBBY SKUS ONLY! – Printing Plates: numbered 1/1. The game’s top prospects and up-and-comers. – Purple Border: sequentially numbered. – Blue Border: sequentially numbered. – Gold Border: sequentially numbered. – Red Border: sequentially numbered to 5. – Black Border: numbered 1/1. 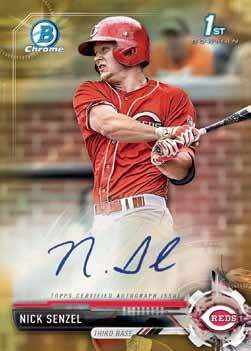 The 2017 Bowman Baseball Jumbo Box will continue to deliver 3 autograph cards per box. – Refractor Parallel: sequentially numbered. HOBBY SKUS ONLY! – Purple Refractor Parallel: sequentially numbered. HOBBY SKUS ONLY! – Blue Refractor Parallel: sequentially numbered. HOBBY SKUS ONLY! – Gold Refractor Parallel: sequentially numbered. HOBBY SKUS ONLY! – Red Refractor Parallel: sequentially numbered to 5. HOBBY SKUS ONLY! – SuperFractor Parallel: numbered 1/1. HOBBY SKUS ONLY! – Printing Plates: numbered 1/1. HOBBY SKUS ONLY! 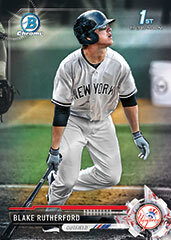 – Additionally, look for returning low-numbered Shimmer Refractor Variation Autograph Parallels! – Orange Parallel: sequentially numbered to 25. HOBBY ONLY! 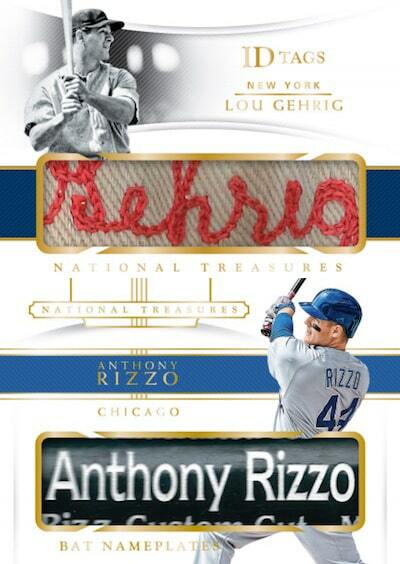 – Additionally, look for limited, sequentially numbered autograph variations! 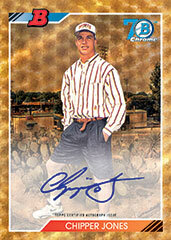 – Also find Bowman Buyback Autograph variations! Sequentially numbered.